I decided to try my hand at some recipes in July for the “A Running Book Per Month” series, and I’d say it was a success. I had fun making new things, and I enjoyed tasting them. 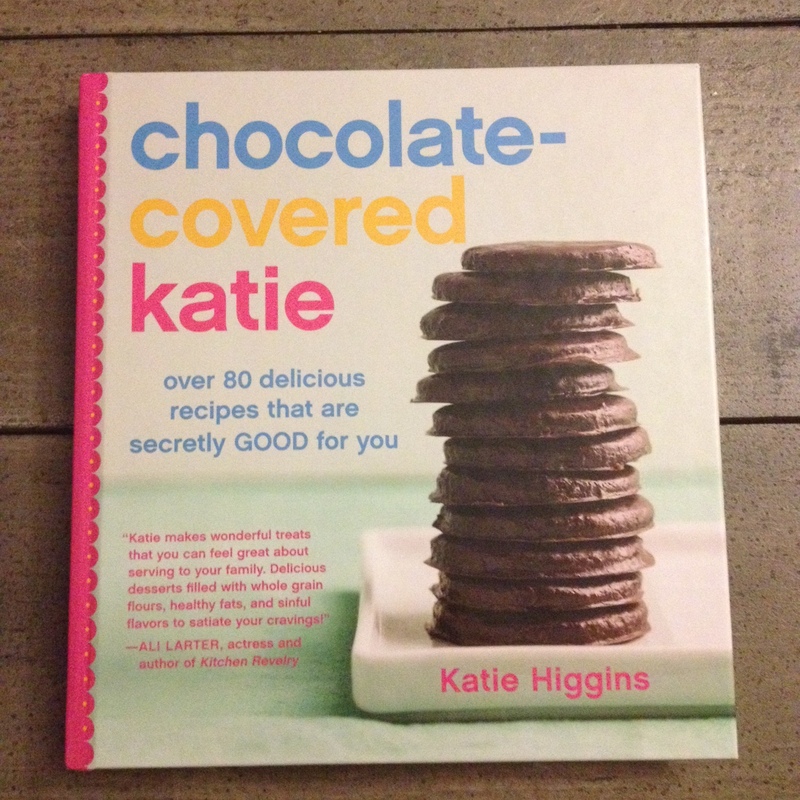 So far, I’ve made five recipes from Katie Higgins’ “Chocolate-Covered Katie:” the Ironman Muffins, The Mint Chocolate Chip Milkshake (which I made twice), The Famous Cookie Dough Dip, Peanut Butter Pudding Pops and The Chocolate Mudslide. The recipes were easy to follow, and I was able to improvise a little bit — we already have a Magic Bullet, so I was able to use that in place of a food processor. I chose recipes that didn’t require me to buy a bunch of extra ingredients, and for the Peanut Butter Pudding Pops, I was able to buy some craft sticks from Michaels and use Dixie cups I already had rather than investing in popsicle molds. I did buy muffin pans, but I’d wanted to buy some of those anyway. I enjoyed the milkshake (which has no ice cream in it — it’s banana and milk, with some other ingredients) and the mudslide (which includes avocado) after runs, which gave me something to look forward to. While I have to admit my version of The Famous Cookie Dough Dip wasn’t quite as delicious as regular cookie dough, this version had garbanzo beans in it, and it did taste good. This recipe also did not include a stick of butter — or any butter — or the raw eggs. I’m looking forward to making some more of the recipes in the book. Flipping through it as I write this, there are plenty more photos that look like they would be delectable treats. I’m getting to writing this post a little late, and I’m going to take a hiatus from the A Running Book Per Month series for the month of August. I’m busy with freelancing and will also be starting a job as an adjunct journalism professor at Salisbury University at the end of the month, in addition to my full-time job. I’m definitely going to continue blogging — I just don’t want to put extra pressure on myself to read an additional book this month. This post has been updated to reflect that I tried the recipes in July.